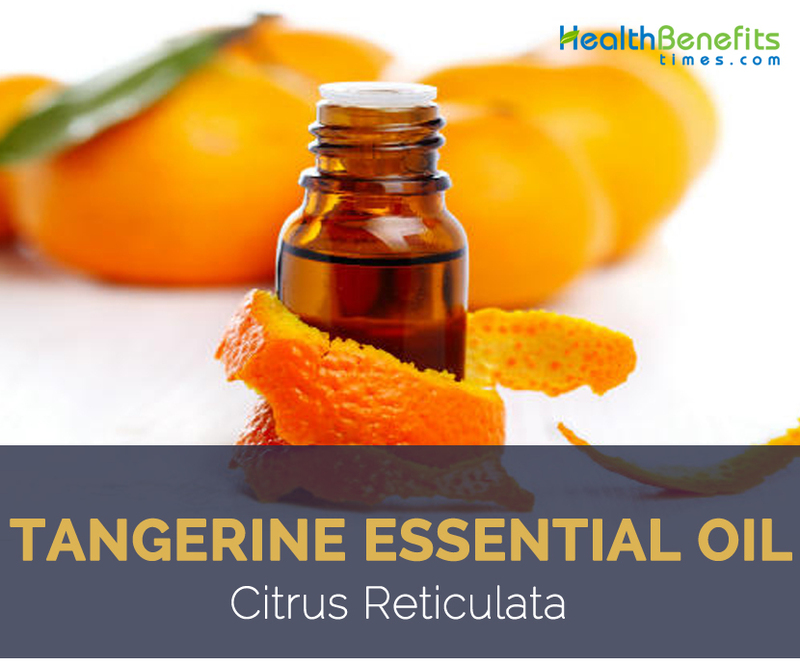 Tangerine essential oil is extracted from Citrus reticulata (also known as Citrus nobilis, madurensis, unshiu, deliciosa) of the Rutaceae family and is also known as European mandarin, naartjie and true mandarin. Although the tangerine tree is most commonly found in southern Europe, South America, and Japan, the tangerine tree originated in China. It is a member of the citrus family and closely resembles mandarin orange. It is small in size and tastes sweeter than oranges. They have very similar taste and properties, the reason why they are often interchanged. Mandarin has light colored skin whereas tangerine’s skin has a darker reddish-orange hue, and mandarin skin has a smooth texture while tangerine has a thick, bumpy skin. Tangerine essential oil is extracted from its peel through Cold compression method. The oil obtained is orange yellow in color and has a warm, fresh, and citrusy aroma and it consists of alpha pinene, alpha thujone, beta pinene, camphene, citronellal, gamma terpinolene, geranial, limonene, linalool, myrcene, nerol, sabinene and terpineol as its chief components. Because of its sweet, tangy scent and calming effect, it’s a perfect fit for any early morning ritual. This wonderful essential oil soothes the nervous system; helps fight and prevent bacterial infection, aids the digestive system helping to bring relief from diarrhea, flatulence and constipation. When used on the skin it helps reduce as well as prevent stretch marks. Apart from that it calms most types of inflammation or hyperactivity because of its natural sedative qualities. It assists the circulatory, digestive and respiratory, and nervous systems by calming the hyperactivity and inflammation. It is a native of China, but was taken to Europe in 1805 and a little later to America, who now is a large producer of this oil. The difference between tangerines and mandarins are the fact that tangerines are harvested around November while mandarins are harvested around February. Tangerines are also deeper orange in color and do not have pips, while mandarins are more yellow and do have pips. Tangerine essential oil is used throughout the world due to its huge health promoting benefits. Many people nowadays are suffering from stresses that are caused by their day to day lives while a growing number of people are affected by a variety of anxiety disorders. Just like physical conditions, these complaints can be weakening in the extreme. Tangerine essential oil has the ability to calm the mind and relieve the symptoms of anxiety and stress. It can be safely used whenever you feel the need for some mental calm and its sedative properties also make it ideal when you feel the need for a good night’s sleep. Tangerine essential oil is quite useful in treating a variety of digestive system and stomach conditions. It can help keep the stomach in good working order by regulating the flow of digestive juices and maintaining acid levels in the gut. This oil can heal any internal stomach wounds and relieve internal inflammation. Antiseptic properties of tangerine essential oil can be used topically to fight the growth and spread of several types of bacteria. Apply it directly to any minor wounds or cuts to help kill bacteria at source and to disinfect the affected area of skin. By applying tangerine essential oil you can also help reduce swelling and redness of the affected skin. Weight fluctuates as we get old and many of us develop tell –tale signs that are not easy to get rid of but several essential oils are supposed to help and many people claim that tangerine essential oil is effective. If you make a massage blend with tangerine oil, you can use it on your body to help reduce unappealing marks caused by cellulite. Tangerine oil consists of good amount of cytophylactic properties that can encourage the generation and growth of new cells. This property of tangerine oil makes it useful for aging or mature skin that needs rejuvenation and help speed up the healing of skin damaged by burns. Tangerine essential oil is supposed to be a powerful depurative which means it helps purify the blood and promotes the detoxification process. The oil is said to aid excretion of toxins and other substances such as excess salt and uric acid from the body. The oil is thought to increase the ability of red blood cells to retain oxygen. Tangerine oil is quite helpful for decreasing inflammation and pain. Research from 2003 has shown that tangerine oil inhibits 5-lipoxygenase (5-LOX) which is actually responsible for the inflammation response. (1) 5 LOX levels normally increase as we get older so lowering this might prove especially beneficial to older people. Tangerine essential oil is a calming agent that is proven effective in relaxing your body completely. It treats mood fluctuations, assists nervous disorders and completely pampers the troubled nervous system. Anxiety, stress, depression, pain, impulsive responses and emotional imbalances are controlled with its soothing and uplifting properties. The stomachic and tonic properties of Tangerine oil supports in boosting the process of metabolism. It stimulates the proper flow of digestive juices ensuring appropriate secretion of bile and other digestive acids, aids in absorbing the essential nutrients from the food, heals irritation in the stomach lining and intestines and supports the entire process of digestion. For all these reasons the essential oil of Tangerine is used in relieving pain, treating ulcers, inflammation and wounds in the stomach. Tangerine essential oil has antispasmodic properties that can help treat and relieve a variety of conditions caused by spasms. Spasms can occur throughout the body and are not limited to common stomach cramps. They can also occur in the respiratory, nervous and digestive systems and can lead to further difficulties such as breathing difficulties, coughing, diarrhea and convulsions. It is said that tangerine essential oil can provide relief for many of these conditions before they become too serious. As we put on weight, our skin stretches, becomes loose and saggy. This ultimately leads to the creation of stretch marks on the body, mostly on the thighs, buttocks, upper arms and abdomen. Tangerine essential oil helps in getting rid of stretch marks, just massage the oil on the affected areas, and you will be sure of positive results under a week! Tangerine essential oil is a common ingredient in a number of skin care products because of its antiseptic and anti-fungal properties. Like other citrus oils, it is one of the essential oils that can be used for acne and other skin complaints. Many experts warn against its use on areas of the body likely to be exposed to direct sunlight because of its photosensitivity, which is common to all citric essential oils. The same properties make it suitable for treating dandruff or other conditions related to scalp dryness. Apart from therapeutic benefits, tangerine oil can be diffused and enjoyed for its scent alone or for practical cleaning purposes. Because it contains antiseptic and antifungal properties, you can put tangerine essential oil to good use around the home. Simply add a few drops of your tangerine oil to clean water, mix it well and use a cloth or rag to wipe and disinfect the kitchen, bathroom and other areas of the house prone to a build-up of bacteria. Its delightful citrus scent is a welcome bonus. Tangerine oil is extracted from the rind of the fruit. It is cold pressed, which is a common method of extraction for citrus oils. The extract has yellow-orange color and releases a zesty, sweet scent. How Does Tangerine Oil Work? Cleaning the house: Take a few drops and mix it with water. Apply the solution to a cleaning rag and use it to wipe surfaces and corners. With its antiseptic property, it helps disinfect and clean the house. Kills Bacteria: By applying directly to a wound, tangerine oil helps kill the bacteria and disinfects the affected area. It reduces the swelling and redness of the wound. Massage Oil: It can be added to carrier oil and used as massage oil. Mixed it with light carrier oil like jojoba oil or coconut oil. The suggested ratio is one drop of tangerine essential oil to every 5 ml of preferred carrier oil. Stretch marks: Mix 1-2 drops of tangerine essential oil with 1-2 drops of lavender oil and a teaspoon of preferred carrier oil and rub it on the affected area. Inhale for a Quick Pick Me Up: The smell of tangerine essential oil is very fresh and uplifting. Dab a bit on a cotton ball and keep it in your purse for a quick sniff throughout the day. It smells refreshing and can brighten your mood and even wake you up a bit. Use for Stubborn Stains: Place 1-2 drops on stubborn stains. Wipe away after 2 minutes. Repeat for stubborn stains. Refreshing Bath: Combine 12 drops with 1/4 cup of Sea Salt for a spa like bath! Gardening: Add 24 drops of tangerine essential to a bucket of soapy water. Use to wipe down your nursery pots and flats. Purify Cutting Boards: Combine 12 drops with 1/4 sea salt and rub onto cutting boards. Rinse with hot water to purify the board. Remove Trash Can Odors: Mix 12 drops with warm water and swish around in your trash can. Leave in there for about 30 minutes and rinse. This will help remove the odor and disinfect it. Then every time you change your trash bag, drop 2-3 drops in the bottom to keep it smelling fresh. Uplift Your Daily Outlook: Tangerine essential oil can really come in handy for uplifting your spirit. Inhale before walking into a Doctor’s office or a meeting for a quick uplift to your mood. Remove Glue: Almost all products consist of sticker and sticker can be easily removed but the glue underneath is impossible to get off. Use 1-2 drops and rub on top of the sticky mess. It will come off easy as pie! Bug Deterrent: Bugs just love munching on the leaves of plants. Combine 24 drops with 4 oz. of water. Place in a spray bottle and shake well. Spray on plants to deter bugs. Diffuser: Tangerine oil is great used in a diffuser. It can help brighten moods and give everyone a pick me up. Air Freshener: If you don’t have a diffuser handy place a few drops onto your air vents to help freshen your home and clean your air. Simply add a drop of tangerine essential oil in a glass of water and drink it for an additional boost. Rub the essential oil to a candle before lighting for aromatherapy use. Add 2–3 drops as a flavoring in cake and cookie recipes. Add 1–2 drops in water, smoothies, teas, or lemonade for flavoring and for its digestive benefits. To boost energy and uplift mood, place 1–2 drops in the palm of your hand, rub together, and cup over the nose and mouth for 30 seconds or diffuse throughout the room. Apply to flex points or abdomen to promote feelings of calmness. Dilute with fractionated coconut oil to minimize sensitivity if needed. Diffuse throughout your day, especially times of stress. Consider massaging over the solar plexus daily to increase playfulness. For grief, inhale from the palms of your hands, or diffuse throughout the room as needed. Also consider applying over the heart. Add two drops of tangerine oil to 10 ml of jojoba oil. Use it as a massage oil to hydrate your skin and also to maintain its elasticity. Tangerine oil is well-known for its ability to moisturize. If acne is the cause behind your sleepless nights, all you need to do is to mix a drop of tangerine oil with four drops of grape-seed oil. Topical application of tangerine oil blended with grape seed oil helps in controlling acne. Add a few drops of tangerine oil to argan oil and use it for nourishing mature skin. If you want to prevent the occurrence of stretch marks, mix half-a-cup of sweet almond oil with fifty drops of tangerine oil and use it on your stomach when you are expecting a baby. The best part is that tangerine oil is considered safe during pregnancy. If you don’t want to take a chance, after you have delivered your baby, add a few drops of tangerine oil to your regular massage oil to do away with stretch marks and improve circulation. Add two or three drops of tangerine oil to coconut oil and use it on your scalp to control scalp infections. If you have been suffering from hair loss, mix two drops of tangerine oil with a tablespoon of sweet almond oil, massage hair roots with the mixture and help strengthen your gorgeous lock. It’s a great remedy for acne and skin impurities. Tangerine essential oil helps treat dandruff, dry scalp, and other hair infections. It aids in restoring damaged tissues in the body. It helps reduces the appearance of scars and stretch marks. It’s safe to use topically during pregnancy because it helps prevent stretch marks. If you are suffering from any infection, then consuming tangerine essential oil is said to curb the infection since it has antiseptic properties. It is in fact prescribed as a treatment for Staphylococcus infections. The essential oil is said to be helpful in getting rid of flatulence and help you get rid of retained water in the body. It relaxes the muscles and nerves and prevents spasms from occurring. 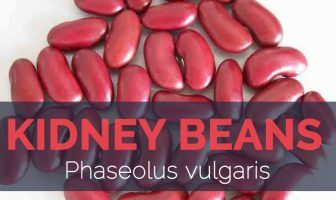 It helps in improving the circulation in the body and keeps the heart healthy. It helps in expelling toxins from the body through urine, excretion and sweat. Aroma of tangerine inspires, prevents depression and anxiety, and creates a sense of joy and hope. Tangerine is a member of the citrus family and closely resembles mandarin orange. It is small in size and tastes sweeter than oranges. Tangerine essential oil is extracted from its peel. The oil is orange-yellow in color and has a sweet orange fragrance. It is said to be therapeutic in that it fills you up with energy and zest. Tangerine oil comes from the fruit’s outer peel and has a warm, fresh, and citrusy aroma. Because of its sweet, tangy scent and calming effect, it’s a perfect fit for any early morning ritual. The essential oil of tangerine is extracted by cold compression of its peels and contains alpha pinene, alpha thujone, beta pinene, camphene, citronellal, gamma terpinolene, geranial, limonene, linalool, myrcene, nerol, sabinene and terpineol as its chief components. Tangerine oil is used in lotions and perfumes because of its zesty aroma. To clean and disinfect the home, mix a few drops with clean water and apply the mixture to a cloth or a rag then wipe the dirty surfaces thoroughly. Tangerine oil can also be added to natural creams and lotions to help reduce cellulite, stretch marks and age spots. Pregnant women should always consult their health professional before using essential oils. Like most citrus essential oils, tangerine oil is phototoxic and you should not expose your skin to direct sunlight for at least 48 hours after applying it to your skin. Always dilute it with suitable carrier oil before applying to the skin. Even after dilution, do a patch test on a discrete area of skin to ensure that you do not have a reaction. Keep out of eyes, ears, or nose and mucous membranes. If you are considering ingestion of this oil, it is advised that you consult the doctor.